As a Reflexotherapy and meridian massages specialist, I’d like to welcome you to the therapy center "La Rebiolle" in Annecy. My love for others has led me naturally to a professional activity thanks to which I can help them through traditional healing techniques. 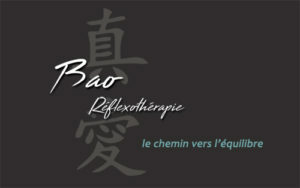 I have created my own centre, called “Bao” and today I work in Annecy, avenue de Genève. New! Certified animal massage therapy, do not hesitate to contact me for your pet!